It was a mixed bag of weather on Sunday, a little of everything. We popped to the garden centre for me to pick up a couple of pots of spring bulbs to brighten up the house for Easter. 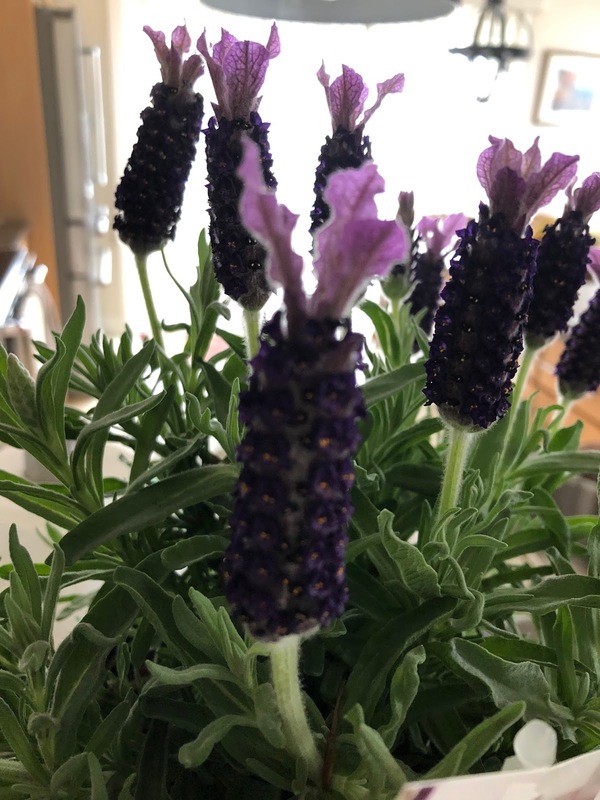 Wasn't happy with the selection, so picked up a pot of lavender, as there is none in the garden. After having it in the house for the next month I'll plant it outside. 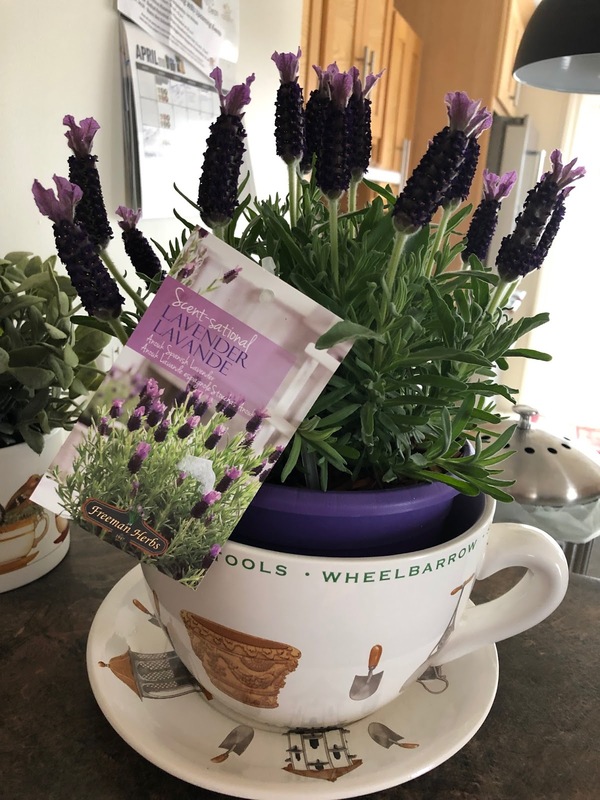 I haven't re potted it yet into my cup and saucer planter. Thought the planter was cute. Never heard of Anouk Spanish Lavender. As per this site Gardenia it sounds perfect for our garden. I checked out Freeman Herbs, there are all sorts of things on their site. I have a teacup planter, but your is much prettier! Hi Gill, thanks for stopping by. I've enjoyed catching up on what you have been doing. 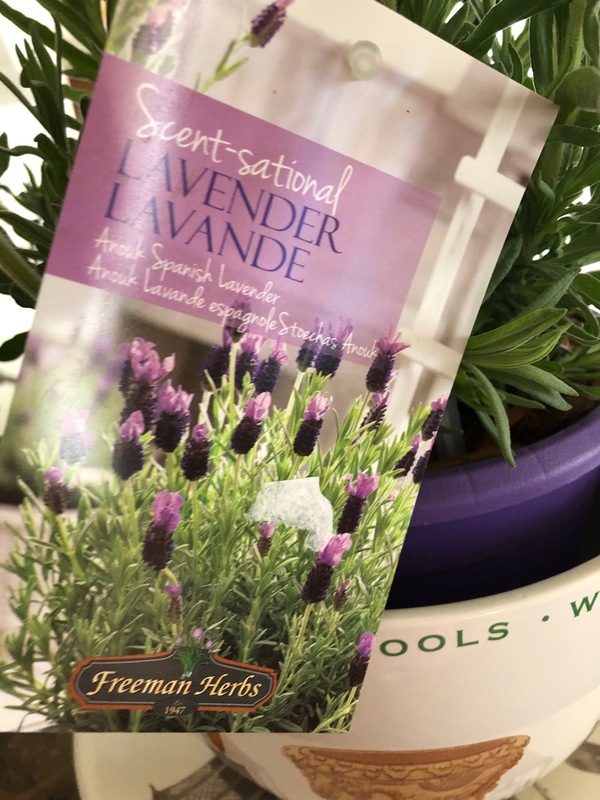 Lavender is my favorite scent and your Spanish Lavender is very pretty. Looks lovely. 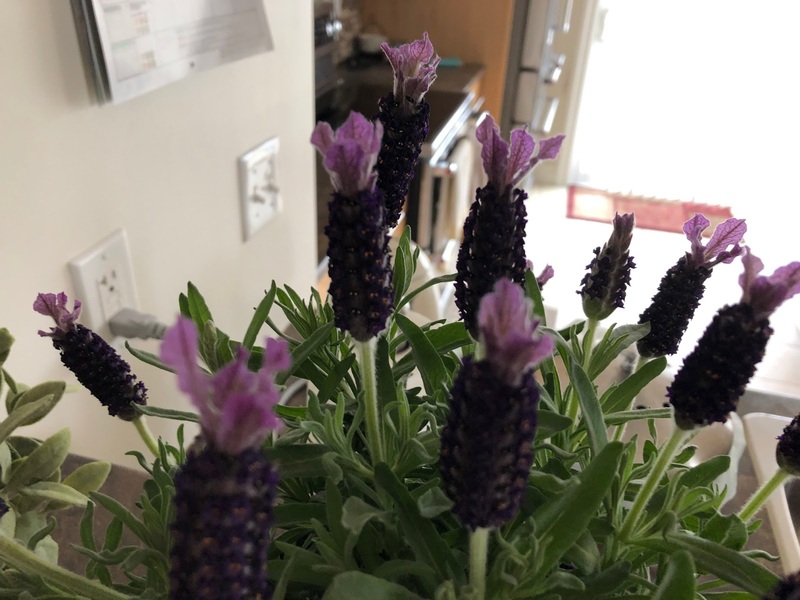 I've never managed to grow lavender of any kind. 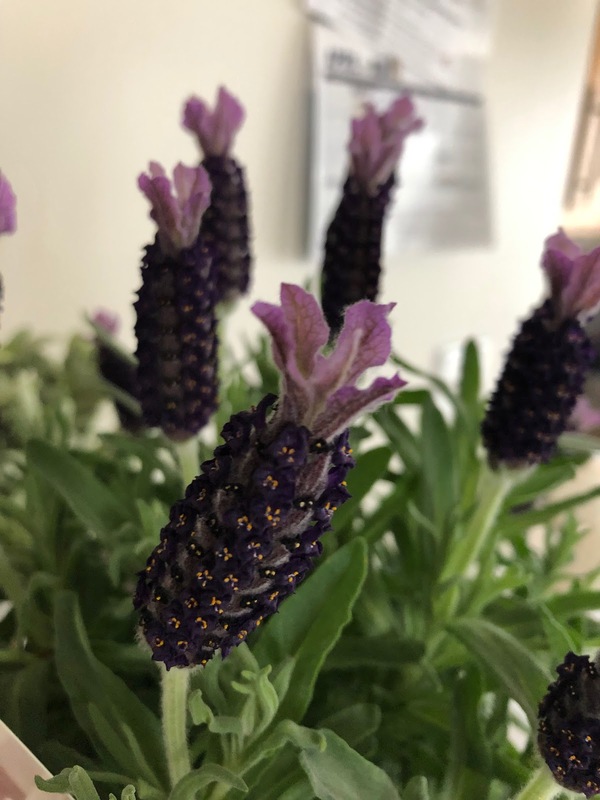 I did manage to keep a French lavender similar to yours for a year or so but I suppose it must have been a bad winter & I lost it. The 2019 Great Frosted Glass Debate! !